Everybody loves a challenge! Help children build confidence and achieve success with fun 2-piece puzzles that hone their skills at their own pace. Only matching pieces fit together, so kids can learn by trial and error. 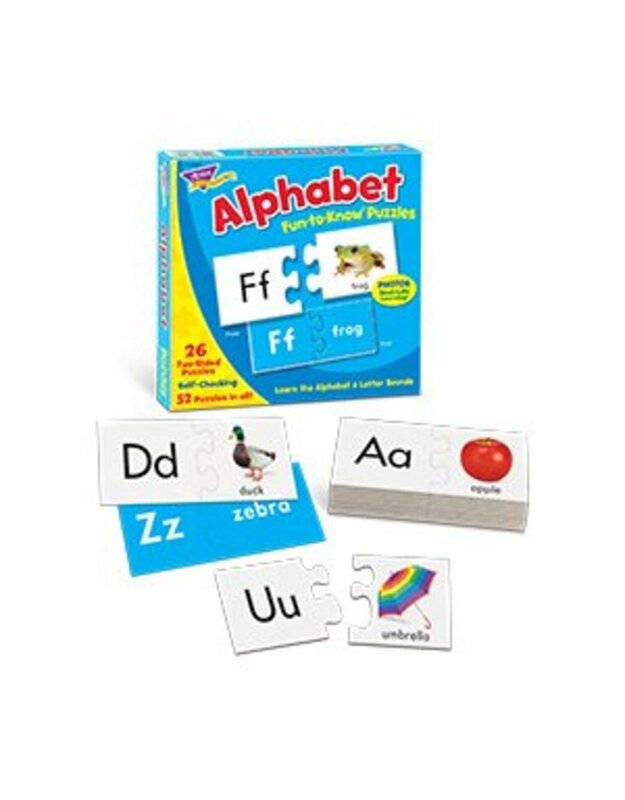 Teach letters and jump-start reading. Photos reinforce letter sounds. Photos for real-life learning. Durable, 3" x 3" pieces. Sturdy storage box. 26 two-piece puzzles. 52 pieces.